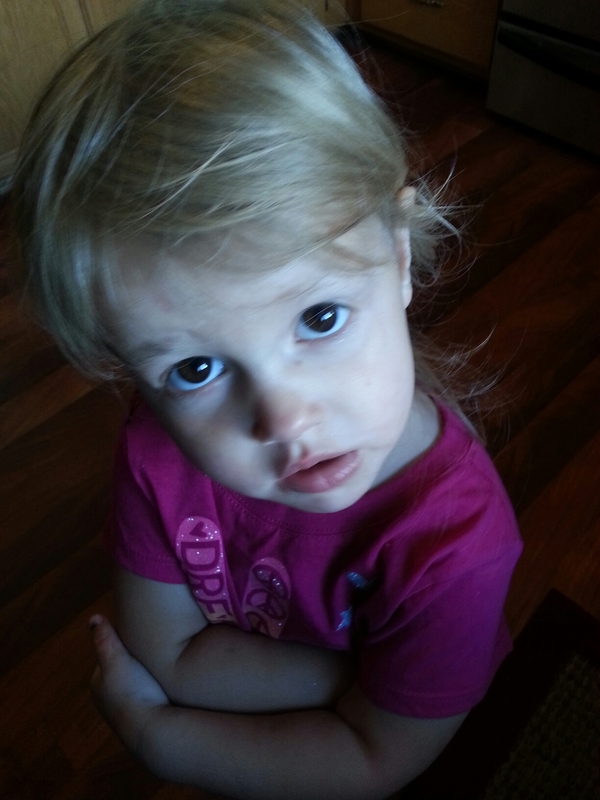 This is my spunky little daughter! This is what happened at nap time today. 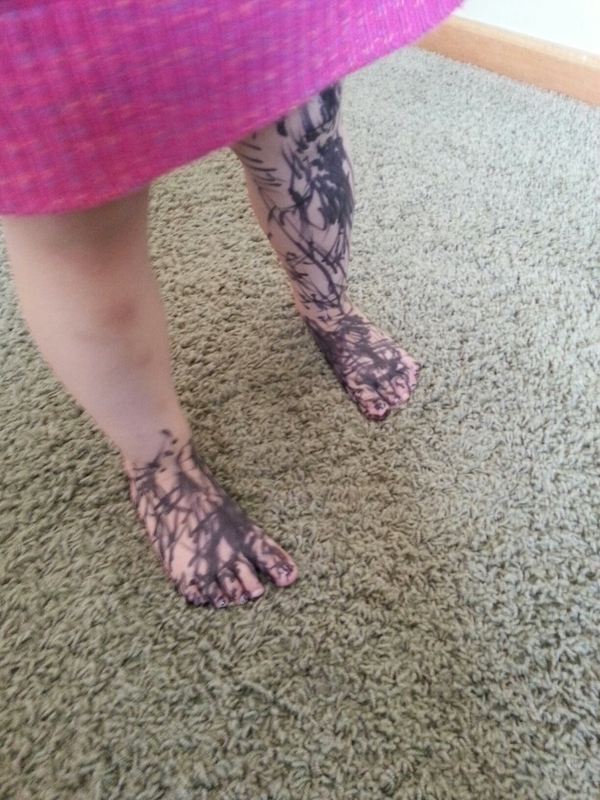 My little munchkin just turned three and clearly is full of creativity. She thinks she is too big for naps. So I hear her talk, play and read books as long as she in in her room a quite I thought I was safe. I run a daycare and I am not ready to give up my few mins of quite time I get when she actually sleeps. Real tip, if your little pumpinks do this. Wet wipes take off marker. 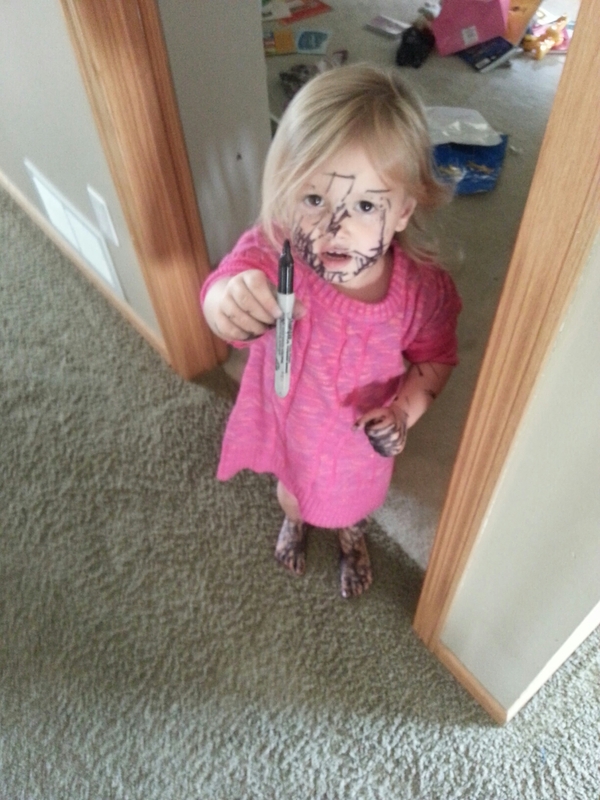 Yes, permanent markers too. 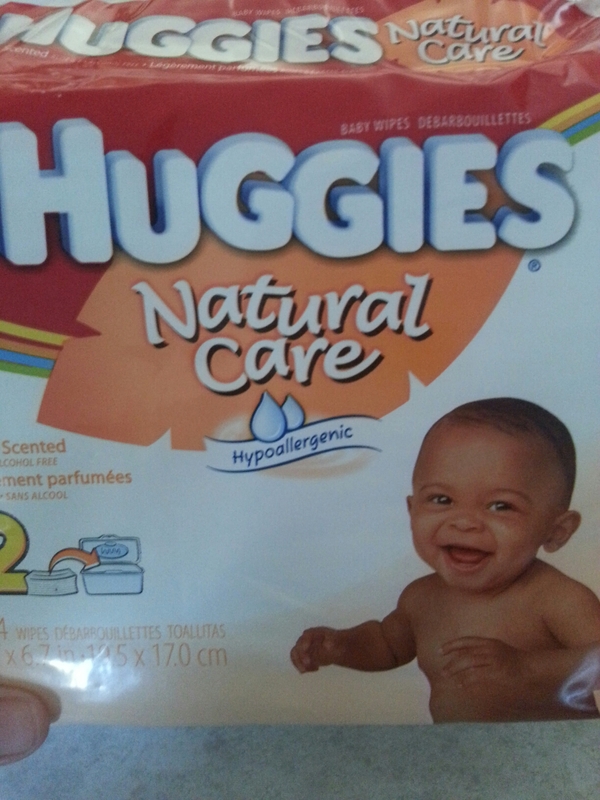 Thanks to the magic of these wet wipes!